Nintendo hopes to ship 10 million units of the Switch in the next fiscal year, and has already moved 2.74 million in March alone. 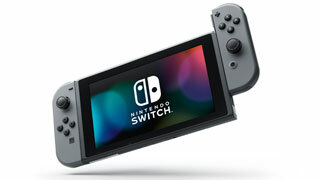 The Nintendo Switch has been selling well since it launched on March 3, and Nintendo has now announced the latest numbers through the end of its fiscal year. Since its launch, the Switch has shipped 2.74 million units worldwide, along with shipping 5.46 million games. Chief among those games is The Legend of Zelda: Breath of the Wild, which Nintendo says sold 3.84 million units worldwide, with 2.76 million of those being for the Switch, and the remaining 1.08 for the Wii U. That means that the latest Zelda continues to have an insane attach rate of over 100 percent on the Switch. Nintendo is taking these first month numbers as good news, and predicts that it will ship 10 million more Switch consoles by the end of this fiscal year, and another 35 million games in the same time frame. You can dig deeper into the numbers, which include info on the 3DS and Wii U, as well as Nintendo's mobile games, by checking out all the reports on Nintendo's website.